That reminds me of a song by the group Chicago. Oh, Cate, that pie looks awesome! You must send me your recipe! And I love that you’re adopting this feature into your blog, I’ve been considering jumping on board myself! Will definitely be looking forward to these posts! I was afraid someone was going to ask for the recipe. I winged it. But will email my brain to you soon. Hah! Cate! You made a punny! You “winged” a “chicken” pot pie?! Get it?! You’re punny! Dang thats a good looking shepherds pie. MMMMMMMM!!!! cut me a slice or better yet give me a spoon. Wow Cate hanging out at your house is great. You hang in there with those precious grand babies gal, you and hubby are doing all the good. Such sweet memories for all of you. I remember saying with my grandparents and it was always hotdogs. I enjoyed my stay but I am full and have to get home. Loved your ‘blog’ — YUM! Cate– I would love love to sit down for any of your pies with you!! That chicken pie looks absolutely awesome! I have to say it was gooood. Oh, Cate, I swear I can smell that chicken pot pie from here! Yuh-um! I love the way you approach fellowship with so much warmth and invitation. I just found the song on You Tube: https://youtu.be/eZDLcvPBHnU A great way to start my morning!!! Thank you for your post, once more. yes, that’s the song! Love it. I have a page for the list of Blogs I Follow because WordPress’ widget is too short!! I am going to place your page on that list also and hopefully others will find your site as well!! Will be back after a bit to read some more and I truly enjoyed your article on Church Set Free! God bless you Sis for your service to the Lord and to all of us and those who pass through your pages!! Keep the faith, and fight the good fight, in Christ Jesus’ name–Amen!! Yes, thank you. Let’s have another piece of pie soon. I really enjoyed reading your post. 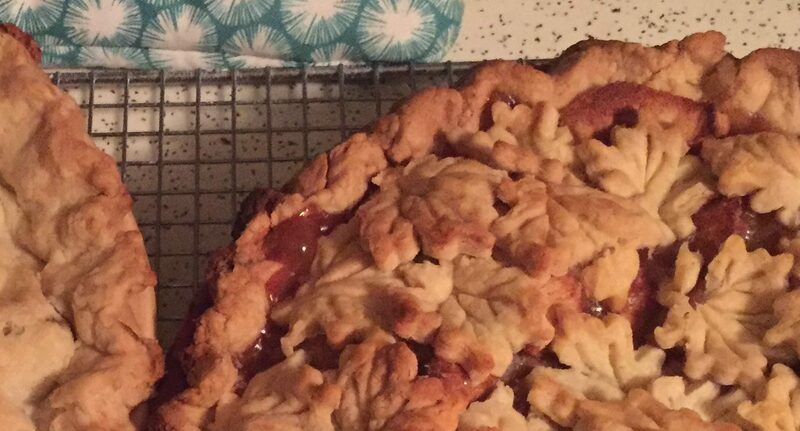 Your pie looks delish! I am glad to find another person using the prompt to start their writing. I have used it several times and it makes writing easier for me and it’s fun! Thanks for sharing. LOL. I would love to come!